Start your authentic adventure by checking into your accommodation in Delhi and later enjoy a bit of afternoon sightseeing on Day 1 (depending on your arrival time). Take a train to Agra on Day 2 to tour the world-famous Taj Mahal and other monuments. Continue to beautiful Fatehpur Sikri on Day 3 and then to Sawai Madhopur in Rajasthan. 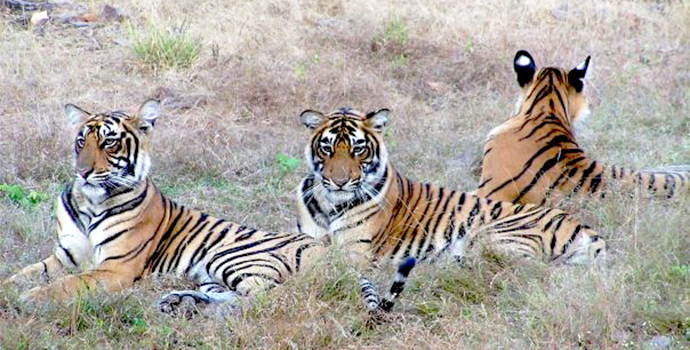 Take morning and afternoon game drives in search of wild tigers in Ranthambore National Park on Day 4 before taking a train to Jaipur on Day 5. 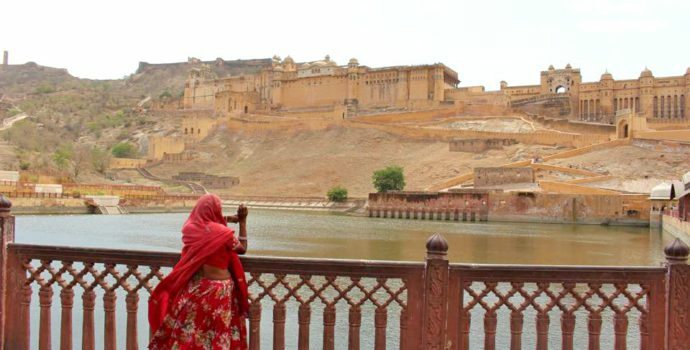 Tour the opulent Amber Fort on Day 6. Travel to the holy city of Pushkar on Day 7 to visit the Savitri Temple and enjoy a traditional dinner cooked by cameleers in the desert. Travel to Udaipur and enjoy lots of free time to explore this enchanting city on Days 8-10. 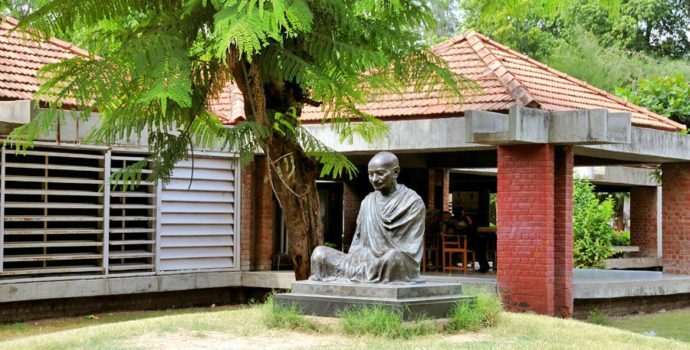 See the Gandhi Ashram on Day 11 before travelling overnight to Mumbai. Enjoy a full day to explore the city on Day 12 before flying to Goa on Day 13. Soak up the sun on beautiful Goa beaches on Day 14 before ending your trip on Day 15 by checking out of your Goa accommodation. Today you will arrive in Delhi and head to your accommodation to check in and meet the rest of your group. Depending on your arrival time, you will have the option to do some afternoon sightseeing with your Bamba Happiness Leader to get a feel for this bustling city. There is nothing quite like seeing Delhi, one of the biggest cities in the world, for the first time. Navigate busy streets full of cows, dogs, motorbikes, rickshaws, and tons of sights, smells, and colours unlike anything you’ve ever experienced! Visit the ornate Jamia Mosque, one of the biggest in Asia, where people travel from all over to pray. Next we’ll see the Chandni Chowk spice market, full of local shoppers and incredible fragrances, and the historical India Gate and President’s House if time allows. At 6pm you will have an orientation meeting with your group and your Happiness Leader for an overview of your upcoming adventure! Tonight you’ll be staying in the Karol Bagh area, which is also home to a huge and colourful local market where they sell all kinds of clothing and shoes. 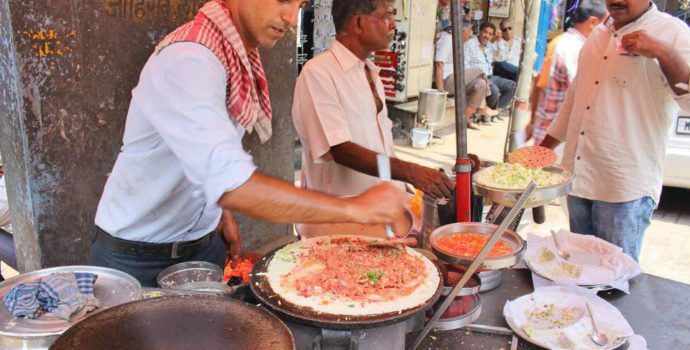 In the evening your tour leader will lead you to the city center where you can get to know your group over dinner (not included) at a vegetarian South Indian restaurant where you’ll have the opportunity to try traditional southern fare like crispy dosas and various flavourful chutneys. Overnight in Delhi. *Please note that it will take about an hour to get from the airport to your accommodation, depending on traffic. Please plan your flight accordingly. This morning we will rise early to take a 6am train 2 hours to the town of Agra, home of the one and only Taj Mahal. Enjoy a simple breakfast onboard as you pass by the Indian countryside south of Delhi. 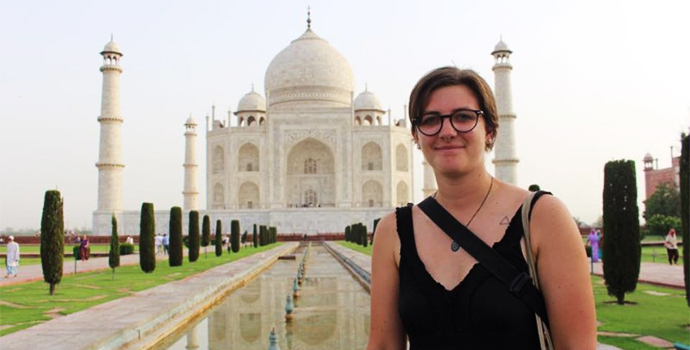 On arrival in Agra we will enjoy a guided tour of the stunning Agra Fort, a historic beauty of red stones with a view in the distance of the breathtaking Taj Mahal for a little foreshadowing. To get to our next stop you’ll see another side of India as we cross an extremely polluted river to get to the Tomb of I’timād-ud-Daulah, a stunning mausoleum known locally at the Baby Taj. 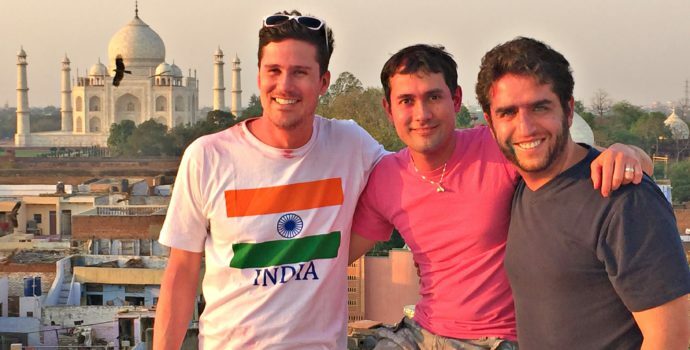 Learn all about the history of these incredible architectural marvels from your guide before arriving at the main event just in time to watch the sunset over the Taj Mahal for a truly unforgettable experience. Today we will enjoy lunch and dinner (not included) with the group at local restaurants where you can find Indian specialties like tandoori chicken, fresh-grilled naan bread, and different curries. There will also be western options if you want to take it easy on your stomach. In the evening take a stroll with your tour leader to see a small market on the main road of the city where you can see lots of locals shopping and having their evening snacks after the heat of the day. Agra is famous for its production of boots and shoes and you’ll see many types for sale at the market along with street food stands selling Indian sweets like petha, a famous regional treat made from pumpkin. Overnight in Agra. This morning after breakfast we’ll drive to Bharatpur, stopping to visit Fatehpur Sikri along the way, a small town full of UNESCO World-Heritage architecture. Here we’ll see the fort which contains a beautiful muslim shrine at the center with quite an interesting history, which your guide will tell you all about. Here you will enjoy lunch (not included) with the group at a local restaurant. In the afternoon we will take a train to Sawai Madhopur in the desert state of Rajasthan. We will check into our accommodation and enjoy some time to rest in this small, laid-back town before eating dinner together. Dinner at the hotel will include options like bharatpur, daal, naan, and tandoori among other dishes. Overnight in Sawai Madhopur. Today we will rise at 5:30 and have some tea, coffee, and biscuits before heading into the park for the day’s first game drive to see the incredibly rich flora and fauna of Ranthambore National Park. we’ll come back to the hotel around 10 to have a full breakfast and enjoy some time to relax and avoid the heat of the day before heading back out for an afternoon game drive. With some luck, today we’ll see the majestic tigers that make this place so special. The park covers 392 square kilometers encompassing several lakes and is situated on the edge of a plateau, bound to the south by the Chambal River and to the north by the Banas River. Besides the large tiger population, there are significant populations of leopard, wild boar, hyena, chital, nilgai, sambhar and sloth bears. It is also home to a wide variety of reptiles, birds, plants and trees including one of India’s largest Banyan trees. We’ll return to the hotel around 6 to freshen up before your tour leader accompanies you to see the local markets of Ranthambore. These giant markets are bursting with everything from food to clothes and dishes. Locals come from all the surrounding villages to do their shopping here, and you’ll see very few other foreigners. For dinner you will share a meal with a local family from a historically disadvantaged social group who will tell you about their heritage, culture and daily lives. Overnight in Sawai Madhopur. Today, after having breakfast at the hotel, we will take a 2.5 hour train to Jaipur, the capital of Rajasthan and a true cultural and historical gem. You will be picked up at the station upon arrival and transferred to your accommodation for check-in. Go for lunch at a local restaurant with the group and then enjoy exploring the city with your Bamba Happiness Leader. Jaipur is famous for textiles and their unique fashion and traditional costumes, and you’ll see many shops selling jewelry, silver, dresses, and beautiful fabrics. In the evening we’ll head outside the city to a small town called Sirsa Amar Nagar. Here you will enjoy dinner with a local family descended from Rajasthani nobility who will teach you about their heritage, culture and daily lives. Tonight you can also opt to see a Bollywood film. Overnight in Jaipur. Enjoy breakfast at the hotel before leaving around 8am for a guided tour of the incredible and opulent Amber Fort. This stunning palace is full of architectural marvels and even some resident monkeys! After learning about the history of this amazing place with a guide, enjoy an afternoon visit to a local factory where you can see the local arts of block printing or carpet making. Next we’ll head to the traditional lively markets of Badi Chaupar and Choti Chaupar inside the city of Jaipur to get a taste of the real India. Depending on what the group wants, we can dine on street food in the market or head to a local restaurant for dinner. Overnight in Jaipur. This morning, after breakfast, we will leave around 8am to drive 2-3 hours to the holy city of Pushkar, where you will enjoy lunch (not included) with the group at a local restaurant. Walk around this stunning city to see the tranquil lake and visit the world’s only temple dedicated to Brahma, an important pilgrimage site for many Hindus. In the afternoon we will visit the beautiful Savitri Temple, perched atop a hill, and catch the sunset. Tonight we will enjoy a traditional Rajasthani dinner in the desert, cooked by cameleers. Here in the holy city of Pushkar nearly everyone is vegetarian, and so there will be no meat with dinner. Enjoy savoury vegetable dishes and curry with local breads before you enjoy the presentation of a traditional dance around the campfire with enchanting music played on local instruments. Overnight in Pushkar. Today we will drive 5-6 hours to the enchanting city of Udaipur, known as the Venice of India. Along the way we’ll pass by Ajmer, one of the country’s biggest muslim shrines and see a lot of desert landscapes, wheat fields, and small towns. Along the way we’ll also stop for lunch in a local restaurant. Upon arrival in Udaipur, take an orientation walk with your tour leader around the beautiful lake and through the small, winding streets of the city, full of people, dogs, and cows. Tonight you’ll also have the option to take a boat ride on the lake to visit the island temple in the center. Overnight in Udaipur. Enjoy free time to relax and explore this charming city and its lakes, palaces, temples, and narrow lanes. Your Bamba Happiness Leader will take to to some of the city’s hidden gems and traditional markets where you can immerse yourself in local culture. Udaipur is known for having quality tailors and leather goods, so feel free to have a beautiful garment made or buy some artisanal souvenirs. The city is full of rooftop bars where you can grab a beer and see views of lake and city as you listen to music drifting over from the temples. Overnights in Udaipur. Today we will take a local bus 6-7 hours to Ahmedabad and explore the famous Gandhi Ashram on the banks of the River Sabarmati. This was one of the residences of Mahatma Gandhi, who lived there for about twelve years here with his wife Kasturba Gandhi. It was from his base here that Gandhi led the Dandi march, also known as the Salt Satyagraha, on March 12, 1930. In recognition of the significant influence that this march had on the Indian independence movement, the Indian government has established the ashram as a national monument. In the evening we will catch an overnight train from Ahmedabad to Mumbai. This morning we will arrive in Mumbai. 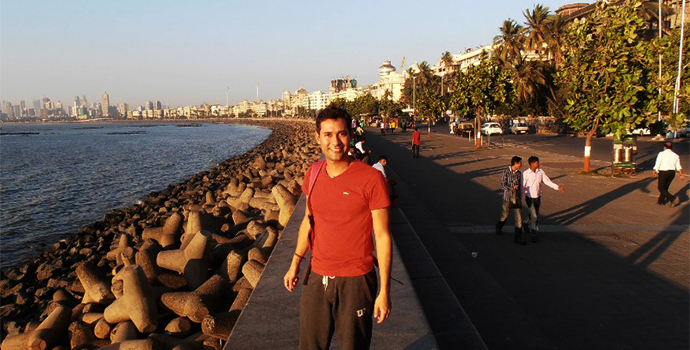 Enjoy an orientation walk of the Fort Area and seaside Colaba, where you can opt to take a boat ride along the coast for stunning views of the city. See a local fish market, watch how locals do their laundry together in a local residential area and make your way through a buzzing local market. Mumbai is the home of Bollywood, so tonight you can opt to take in a movie at one of the many local cinemas before having dinner with your group at a local restaurant where you can try local delicacies like Badav Pau. Overnight in Mumbai. In the morning, hop on a short flight to Goa. Upon arrival opt to head to the famous beaches of North Goa, with pristine white sand and tons of lively restaurants and bars along the shore. Sample tasty treats at the night markets, and take in the famous nightlife of this coastal gem! Overnight in Goa. Enjoy a free day to wind down in North Goa and sleep off last night’s festivities. Visit nearby beaches, scour the markets, and be sure to try to some delicious Goan cuisine and fresh seafood. We recommend renting a bike or scooter to see the charming town as the locals do. See the beautiful churches and the Portuguese colonial influence that makes this place unlike any other. See the fresh fish markets, try cashews fresh from the trees and still in their husks, and be sure to try the local whiskey–also made from cashews! Party the night away on the beach with your new friends. Overnight in Goa. Today your trip ends in Goa. Make sure that you exchange contact information with your new friends, because you’ll have a lot to reminisce about! We wish you a safe journey onward! Airport Pick-Up/Drop-off, Optional Activities, Other Meals/Drinks, Tips, Personal Expenses, Travel Insurance, International Flights.